We only sell products of the highest quality and we have in our catalogue also the best brands which we have been selecting since 1984 through experience and the clients feedback so quality is insured. Some examples are: Begoña Cervera, Bloch, Capezio, Filigrana, Rummos ... brands of recognized quality and prestige. We also have our own product line named TAMARA. This products have a quality / price relation, unbeatable. All our items are fully guaranteed against manufacturing defects. All our products are guaranteed against manufacturing defects. Although we make an individually supplementary control of all the products before shipping them, if you find some problem or manufacturing defect, we will proceed to change the product. 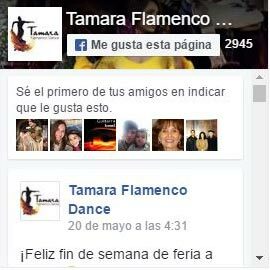 Possible shipping costs derivate cause this reason are totally free for the customer and they will be paid by Tamara Flamenco Dance. Important: The company undertakes to change the defective or wrong item for a new one the same as the customer requested. The customer will not be able to ask to be sent another item different from the one that the customer bought, nor another model, size, color or size. We will send exactly the article that the customer requested in his original order with the same characteristics. If the customer wants another item or different characteristics, it is considered a change of article and in this case, the customer will have to pay the shipping costs. - All products sent that are in stock have an exchange or return period of 15 days from the date of purchase or shipment. Items must be in perfect condition and unused. Shipping costs for exchanges or returns will be borne by the customer. The return will be made by a voucher without expiry date or by another article (if the article chosen has a higher price, the customer will pay the difference, if it is a lower price, you will be given a voucher without expiry with the remaining amount). - Items manufactured by order or customized products cannot be exchanged or refund. 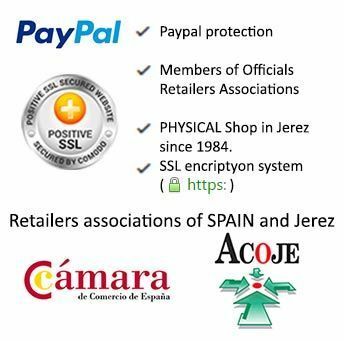 - Products liable to be one-time use like hats, dance canes, flamenco dresses: this products can be changed in size but they can NOT be refunds.